Horses forever changed life on the Great Plains. They allowed tribes to hunt more buffalo than ever before. They tipped the balance of power in favor of mounted warriors. And they became prized as wealth. 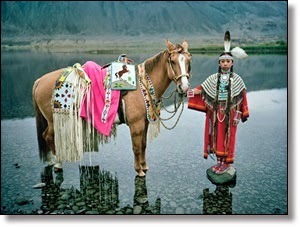 For Native Americans today, horses endure as an emblem of tradition and a source of pride, pageantry, and healing. To read more on this story, click here: Native American Horses FOLLOW US!